There have been many memorable tributes to Prince since his untimely and unexpected death a few days ago. 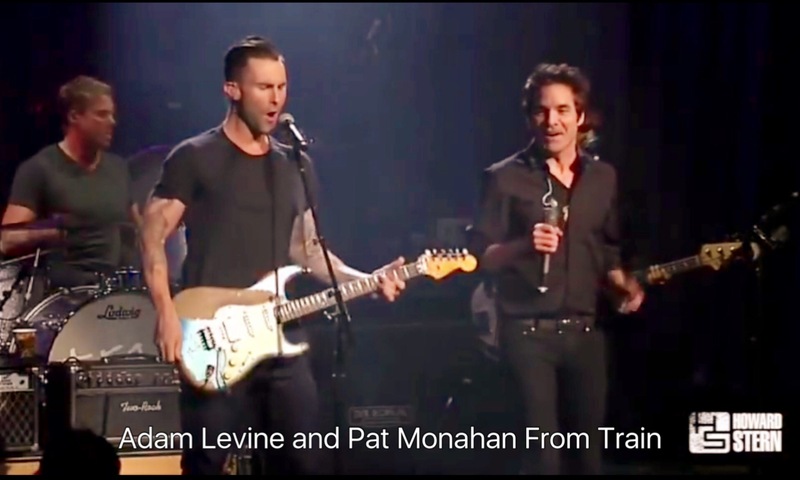 ﻿However, this cover of Purple Rain featuring Adam Levine and Pat Monahan’s band Train pretty much blew my mind. It was performed in 2014 at a birthday party for Howard Stern. The Howard Stern Show unveiled this video as a tribute to the iconic genius who ruled the world with his musical artistry since 1978. You know, life can be so strange at times. As life moves on and you are no longer considered youthful and current, one starts to feel irrelevant. I am sure that, even though Prince was still working tremendously hard – quite possibly too hard given the suddeness of his death – he couldn’t help but notice all the talent emerging around him. He was still a valued musician, to be sure. But the millennial age has produced musical phenomenons such as Taylor Swift, Carrie Underwood, Bruno Mars, Beyonce etc., forcing the musical landscape to shift in a new direction. To a new sound. And a new icon in music. So, I thought it was wonderful to see Adam Levine and Train, all much younger than Prince, give such a momentous performance of Purple Rain. They both learned from the best in the business and it shows. And check out Adam Levine’s solo midway through this video. I knew he could strum a mean guitar but this solo was a jaw-dropper. Incredible! I wonder if Adam will perform this, this week on the Voice as a tribute? Hmm. Good question Vonnie. I am sure they will do something as a tribute to Prince. I suspect we will see the four judges / coaches doing Purple Rain.